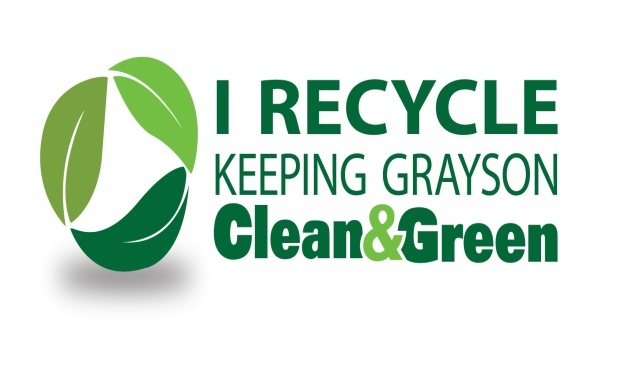 The Public Works department would like to encourage you to take advantage of our local recycling program and help us keep Grayson CLEAN & GREEN! Newspapers and Magazines:Please remove the newspaper from plastic bags before placing them into the recycle bin. Cardboard:Please break all cardboard down flat so more will fit into the recycle bin. Grayson County now has the equipment necessary to collect junk cars, automobile parts, old metal roofing and scrap iron. Please contact our office for more information or to schedule a pick up. ITEMS ACCEPTED FOR RECYCLING: Cardboard, Office Paper, News Paper, Shredded Paper, Magazines, Plastic Containers/Bottles with recycle logo, Aluminum Cans and Containers, and steel of all types. ITEMS THAT WILL NOT BE ACCEPTED FOR RECYCLING: Plastic grocery bags, Shrink wrap, Glass, PVC and ABS plastic pipe, Styrofoam, Wax Coated cardboard boxes, Hazardous or Biological materials and /or Containers of any kind. 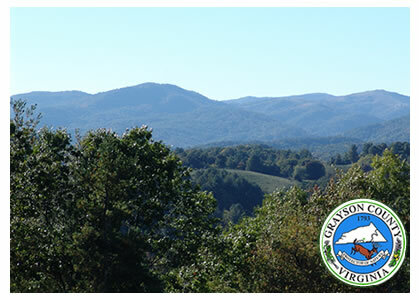 Grayson County Public Works Department at 276-773-3181 or email us at gcpw@graysoncountyva.gov. Search for Crafts made from recycled materials. Elk Creek Salvage accepts automobiles, appliances, and various scrap metals including metal roofing at no charge.